The building site is surrounded by a park, water and the city. 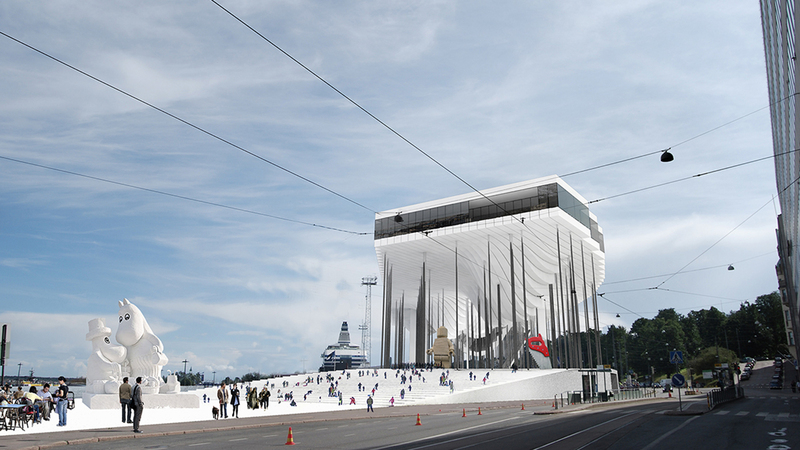 A place intended for public venues where various types of art pieces would be presented in the city scape. Not only the ones with a stable character-sculptures, monuments, architectural objects which were connected with the assumption that they will be realized and presented in an indefinite period of time but also modern art such as as temporary events, performances, happenings which expand the definition and concept of a work of art through interactivity. Its author provides the platform, the means which can be both material and in-material and the final end result is created only together with the (v)users (viewers/users). Participation with the public plays a crucial role in this process. 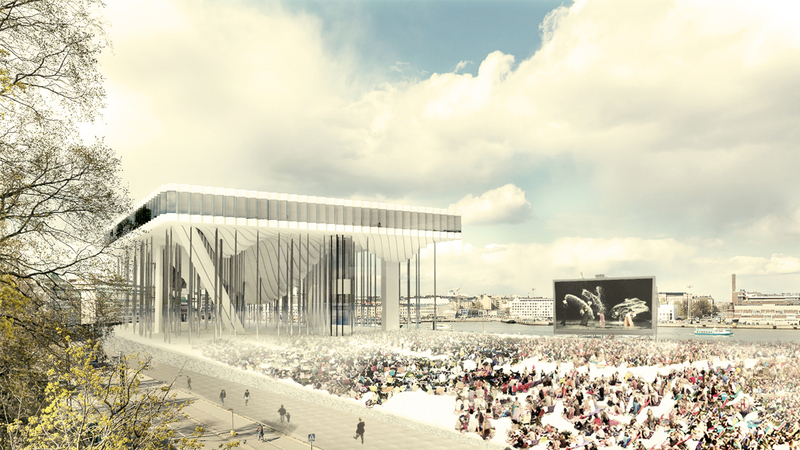 The proposal for the Guggenheim Museum in Helsinki focuses on creating an immediate link with the spectator even before entering the building. 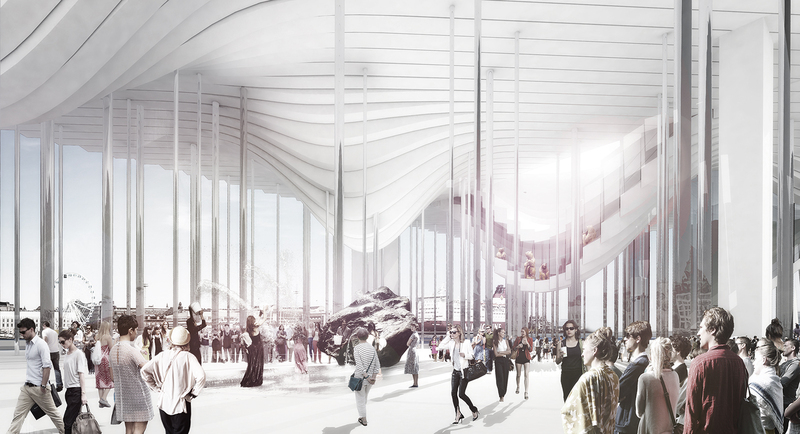 Exhibits and artistic insides of the building would be partially visible only to create a mysterious intriguing sensation which at the same time is a welcoming gesture. It is the art pieces and not the walls that frame the views near the location. The building which as an outcome of their position with its floors and ceilings is designed to respect and not to obstruct what’s visually precious in this part of the city. The views from the building are equally as important as those to the building and through the building from the surrounding city. Visitors would look out and those outside could look in. 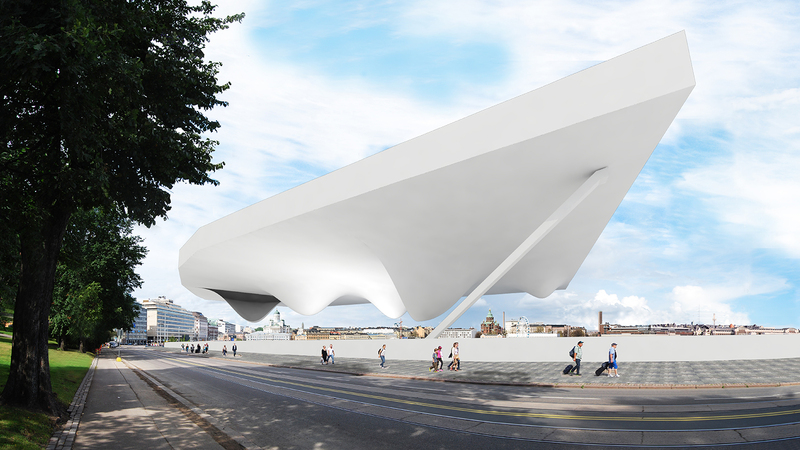 From the ground and in elevation, the museum is open and transparent with the main level of the exhibition space elevated 30m above ground. 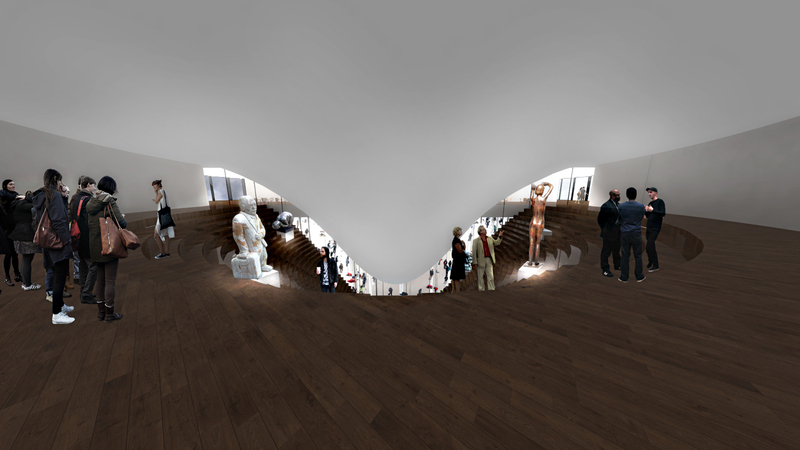 The usual clear-cut threshold between museum functions and the public realm is made a more transitional experience with the museum underside that would gradually lower in an intriguing way only to open in special places to present part of the exhibition. 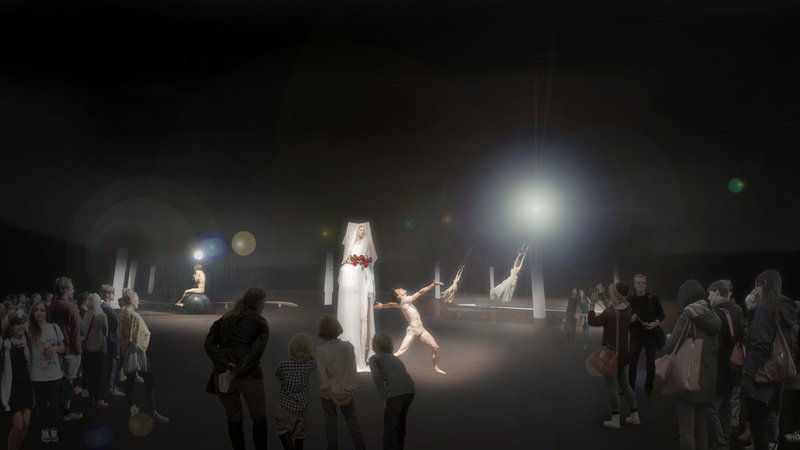 The changing surface would provide different scenes for possible events ranging from big events like concerts on the plaza outside to tall sculptures exhibition areas on the inside of the museum. 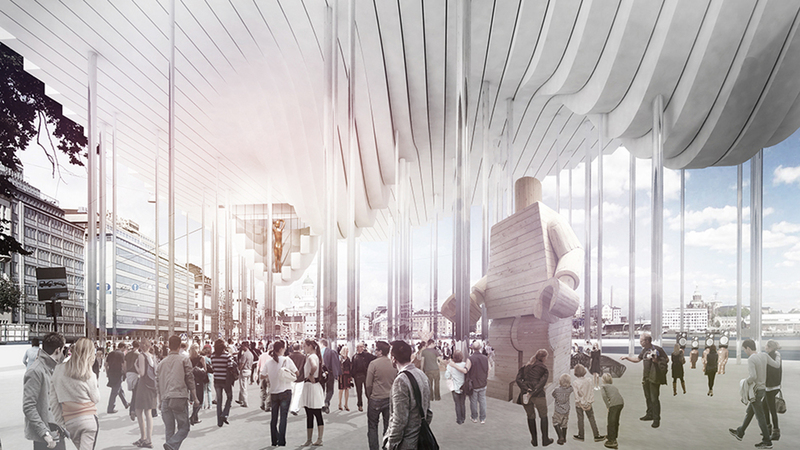 The design would emphasize Helsinki in its horizontality, re-exposing important buildings in the area by framing them with the underside and opening it in desired places to invoke curiosity in the observers. 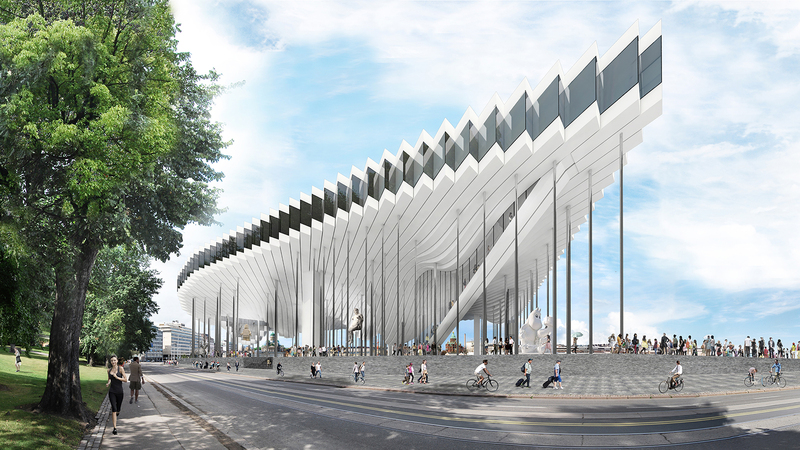 Where as vertical program arrangements have poor conditions for presenting art and distributing visitors, the footprint of the project site is ideal to horizontally properly organize galleries and circulation in a state of-the-art museum building. 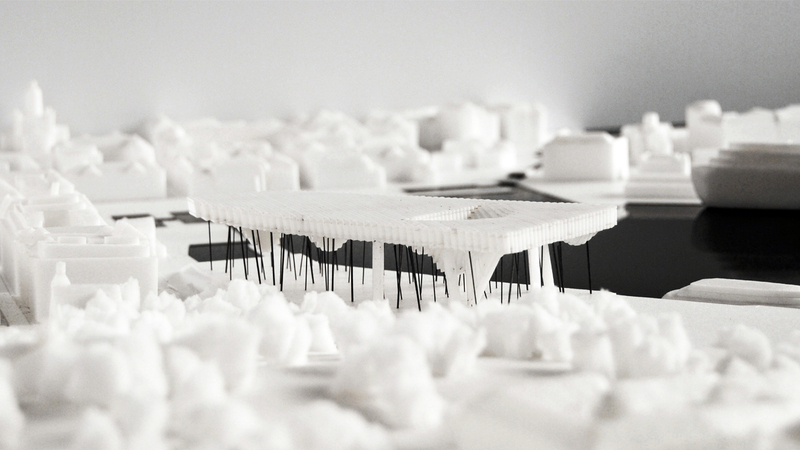 The building could perform as a single stage, with all exhibition spaces consolidated onto a single floor. 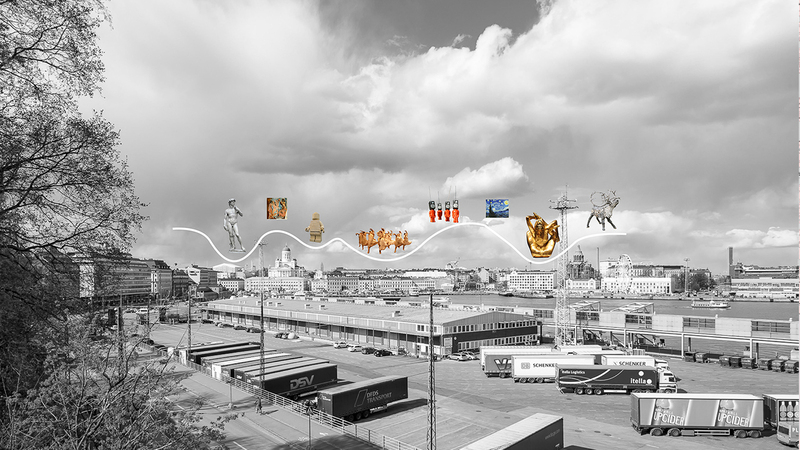 A single gallery being a museum in itself with a critical mass of continuous generous gallery and circulation space able to host various types of exhibitions like performative art all with the intention to create a cultural and social place at the same time. 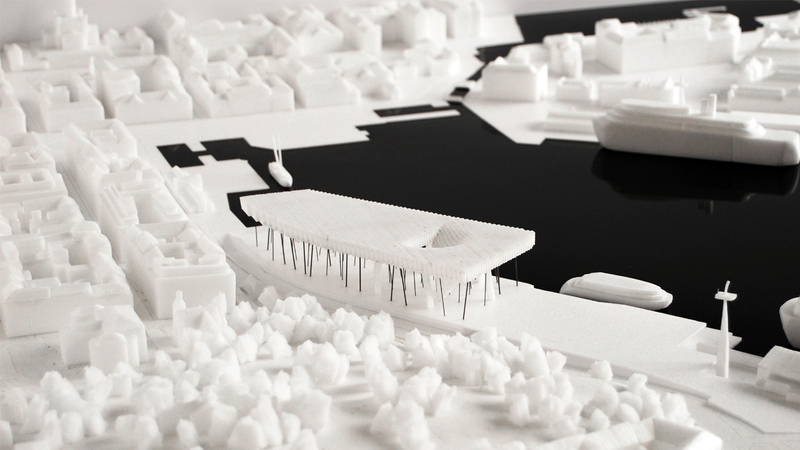 This would strengthen the urban energy in the south harbor. 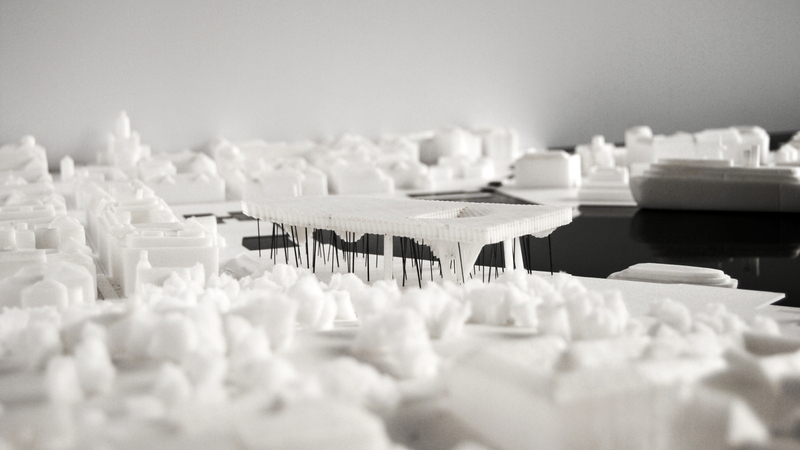 The scale of the building and its elevated form would mark its strong presence in the context at the same time would be completely integrated with the environment. 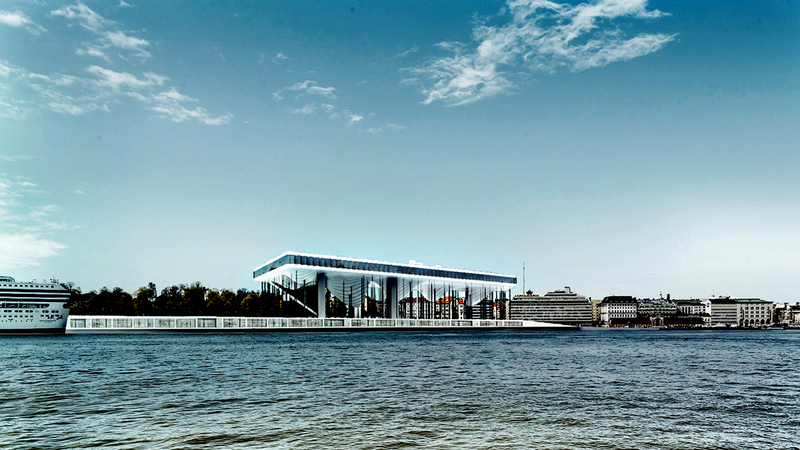 The floating building would be open providing an unobstructed 360 degrees panorama of this part of the capital. The views and interior design are a background to the presented art and do not provide distraction.